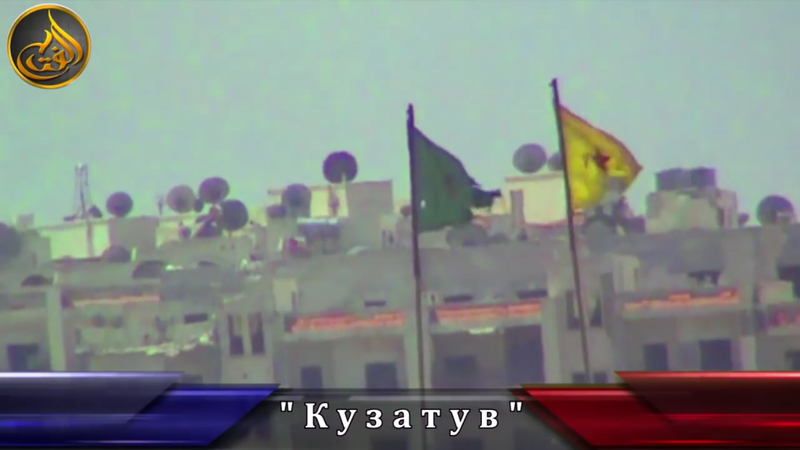 The video shows the flags of the Kurdish YPG and its female wing, the YPJ. 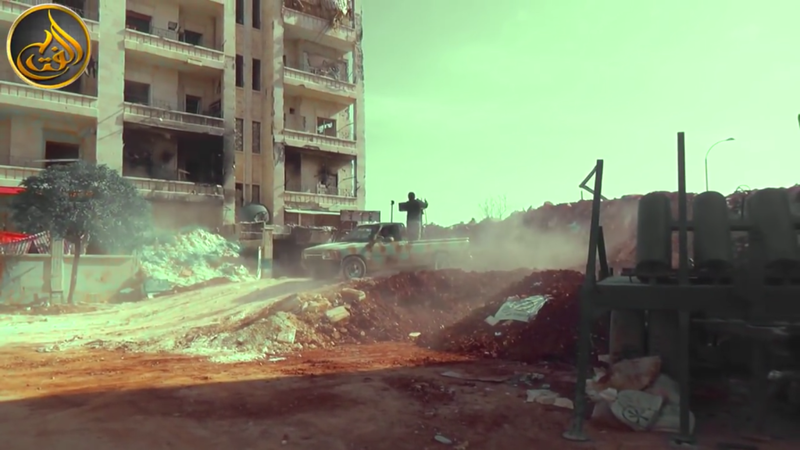 The Imam Bukhari Jamaat (also known as Katibat Imam al Bukhari), a largely Uzbek group that is allied to the Al Nusrah Front, al Qaeda’s official branch in Syria, has released a video in recent days highlighting its role in fighting the Kurdish People’s Protection Units (YPG) in Aleppo’s Sheikh Maqsud. 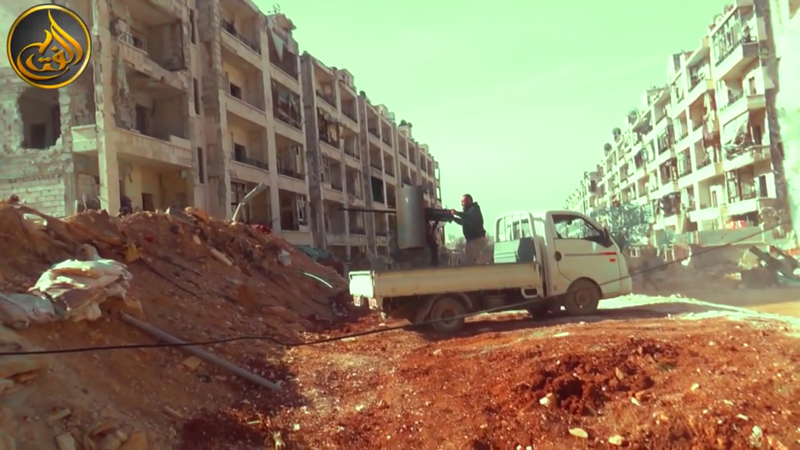 The Uzbek group joins other al Qaeda-linked organizations attacking the Kurds in the Aleppo neighborhood. 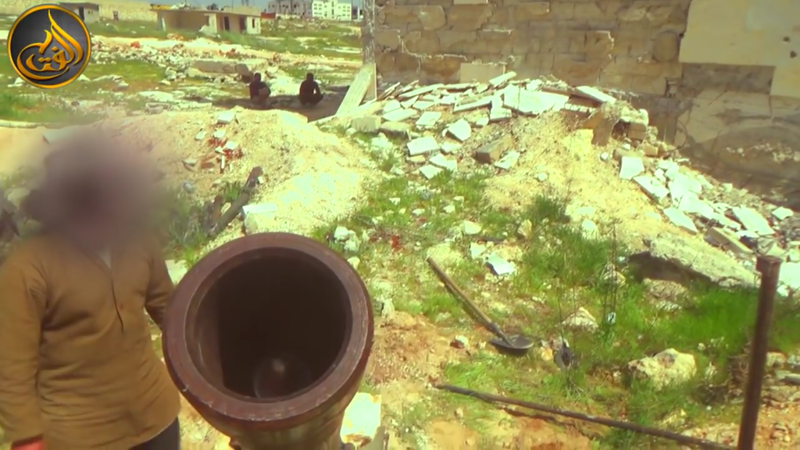 The video shows the Uzbek jihadists fighting with native Syrian forces with both light and heavy machine guns, as well as with mortars. 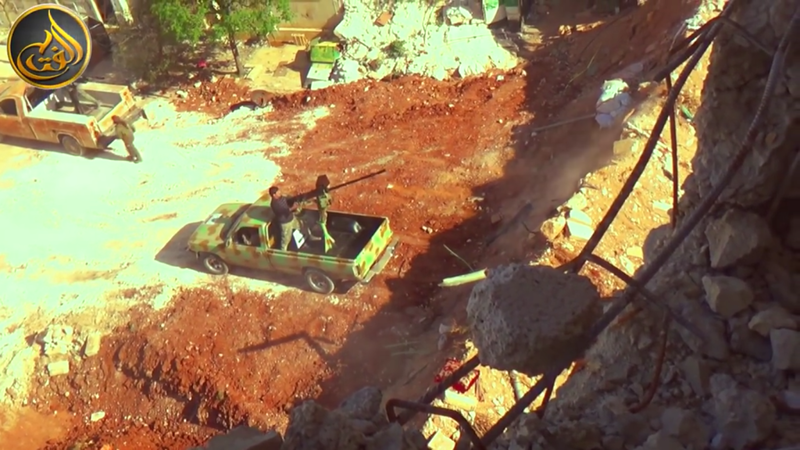 Several technicals, or armed pick up trucks, are also shown being utilized. 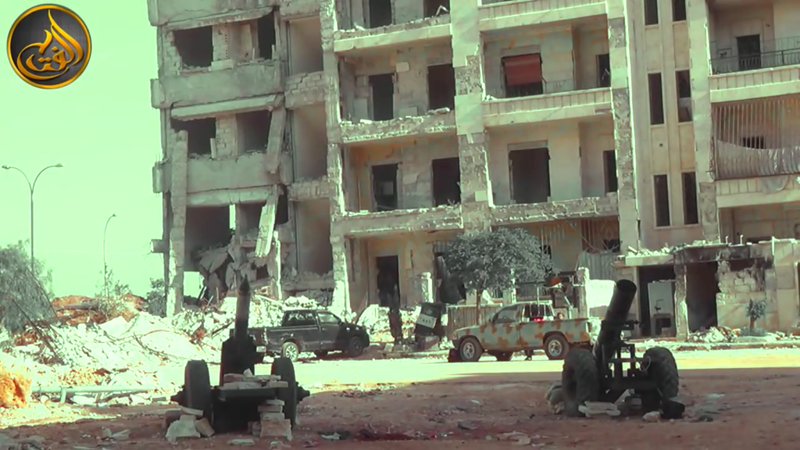 Multiple rebel groups, along with jihadist forces, are currently ambushing the YPG and its allies for control over the neighborhood. 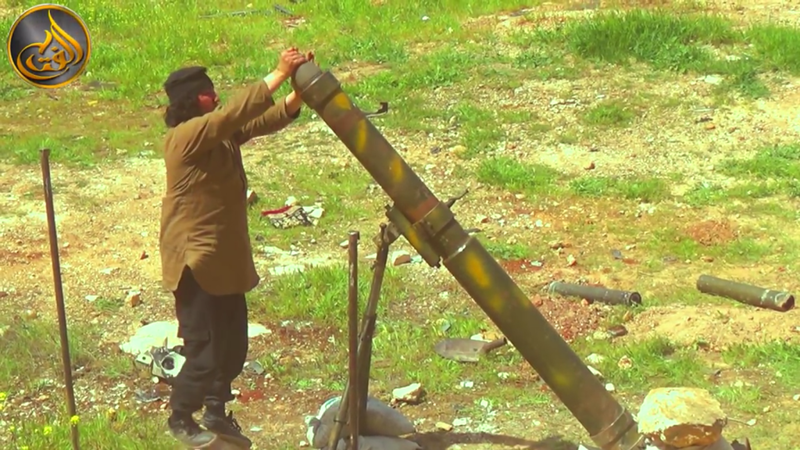 Katibat Imam al Bukhari, which has pledged allegiance to Mullah Akhtar Mansour of the Taliban, joins Ansar al Islam and the Caucasus Emirate in Syria as al Qaeda-linked organizations attack the Kurds. Ansar al Islam, which was originally founded in Iraq in 2001, has reported its forces are fighting the Kurds in the neighborhood. 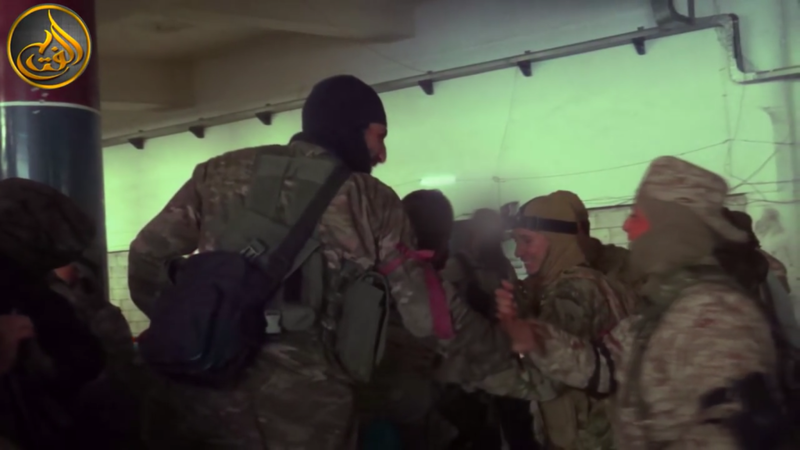 The Caucasus Emirate in Syria, the official Syrian branch of the Caucasus Emirate, released a video last month showing its forces taking part in a nighttime operation against the Kurds. Social media accounts associated with the group have also released several photos showing Caucasus Emirate forces in Sheikh Maqsud, as well. 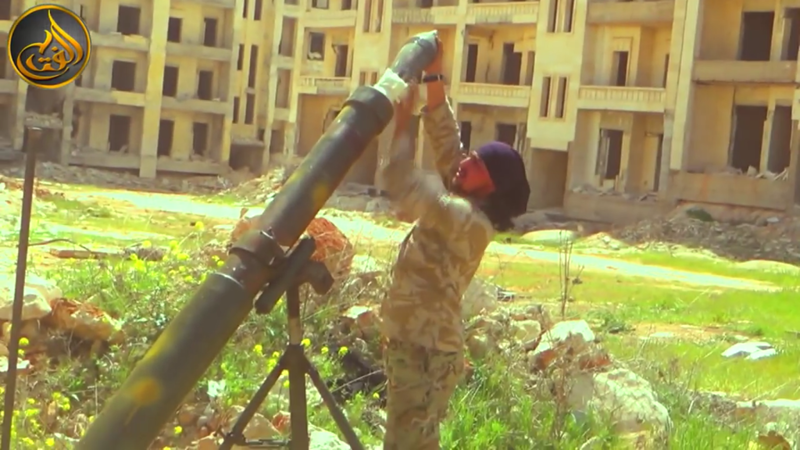 From Chechnya to Syria also reports that another Chechen-led group, Jaish al Usrah, which is led by the former emir of the Caucasus Emirate in Syria, is also taking part in the battles in Sheikh Maqsud. Very interesting. Does this indicate that t he U zbek dictator has permitted this? And a women’s branch, too — not integrated, separate but equal.? This expands the number of playes that need to be accounted for. Our forces are in the middle of a maelstrom with no apparent long term effect. 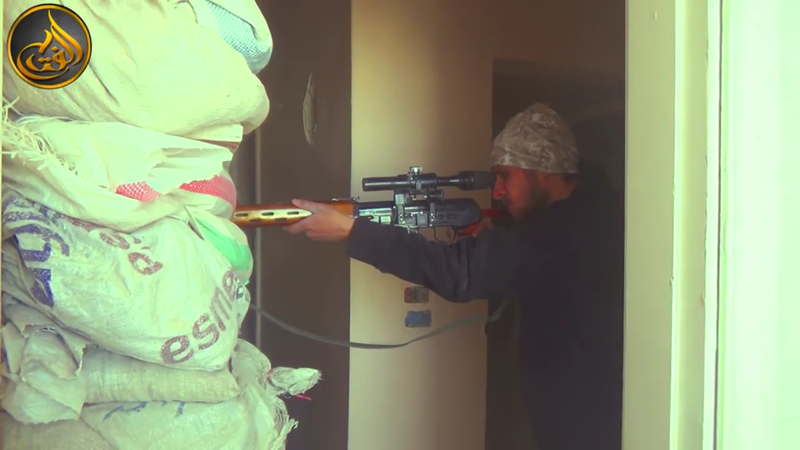 THE RADICAL MUSLIM UZBEK FIGHT AGAINST THE PPK IN SYRIAN CIVIL WAR.